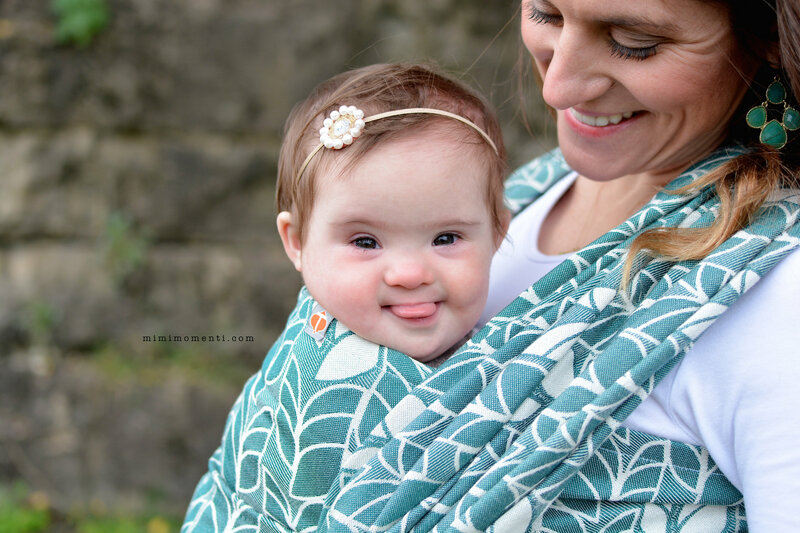 One of the most frequently asked questions we hear at Team Tekhni is, “What size woven wrap should I buy?” Maybe you started with a stretchy wrap, or even borrowed a wrap from a friend, and now you are stuck. Which size wrap will fit me? The first thing we always tell people is that wraps are not like shoes, there is no one right size for you. Size 3- 3.2m, Size 4- 3.7m, Size 5- 4.2m, Size 6- 4.7m, Size 7- 5.2m, Size 8- 5.7m. With a half meter between each size, you will see some variance in your wraps. This is why you may hear someone refer to a wrap as “long” or “short.” The key point is- you can wrap with any size. The size you choose determines the carries that are possible. Often, people will suggest a new wrapper begin with their base size. What’s my base size, you ask? Your base size is the size you can complete a Front Wrap Cross Carry (tied behind your back) with with the amount of tail that you like. The size of the wrapper, the wrapee, the length of the taper, and your personal preference will all play into the size you choose as your base size. The most common base sizes are 5, 6, and 7. While your base size may be the size you choose to begin with, you may also decide you would like more or less length based on your needs. 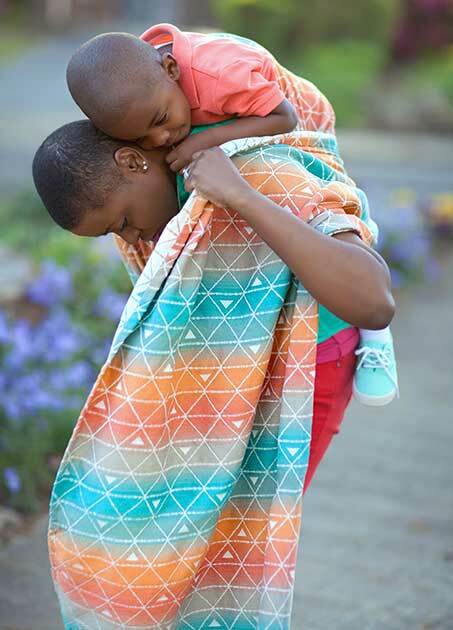 Are you planning to tandem wear in a single wrap? You may want a longer wrap. Are you overwhelmed by fabric? You may want a shorter wrap. Because much of wrapping is personal preference, we often recommend trying wraps with your local lending/learning library, or with our Tekhni Traveling Library (of which we have both a US and Canadian version). and base size minus two (Ex: If your base is a 6, your base -2 would be a 4.). Either of those two sizes will give you plenty of versatility as you begin your wrapping journey. Squish or toddler, you’ll still have plenty of options. Have additional funds? A ring sling is an excellent addition. Still have questions? Feel free to send us a note. We are more than happy to help! Intimidated by woven wraps? We also offer personal online video consultations with your wrap purchase. 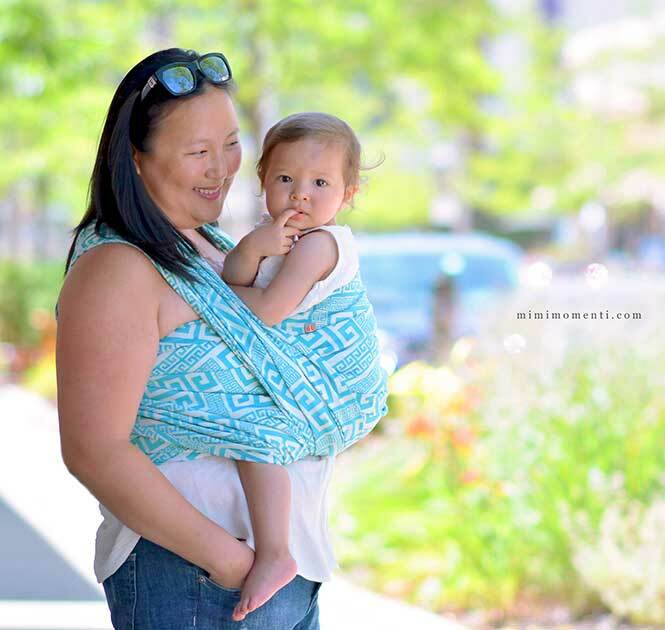 Learn how to use your baby carrier from the comfort of your own home with a certified educator.